For years, FCU has experienced consistent growth and development, and has always sought new and innovative ways to broaden the scope of effectiveness in teaching the Word of God to the masses. To further this vision and to foster growth with sustainability for FCU, as well as build a strong community, the Alumni Association was established in 2015. 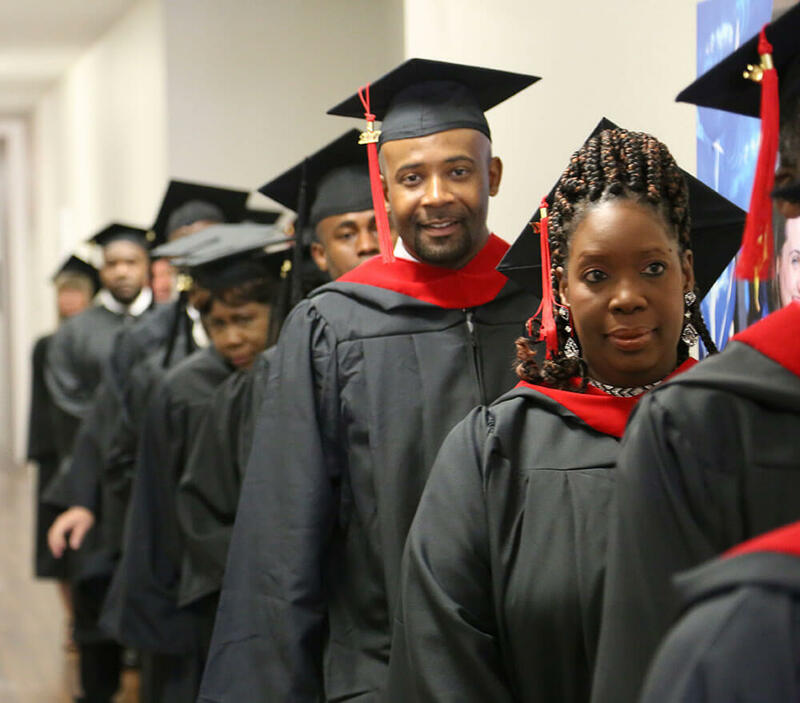 Faith Christian University is proud to have educated, empowered, and equipped men and women for their call to ministry and God’s service to the best of their capacity. The FCU Alumni Association is an independent, worldwide organization whose membership is comprised of all FCU Students & Graduates. Our goal is to nurture lifelong relationships with and among all current students, graduates, and future FCU alumni. FCU Alumni should value the contribution of FCU both personally and in ministry and become an ambassador of goodwill and recommendation for FCU. Always be actively engaged in advancing the work of ministry and maintain a personal commitment to integrity, unity and service. We encourage all alumni to attend FCU events such as graduations, ministry luncheons and other alumni events. We strongly encourage each alumni member to participate in outreach ministry and missions when possible. FCU Alumni Association hosts numerous events throughout the year.These gatherings provide the ideal opportunities for fellowship and networking among the alumni. Alumni can also serve, network, and embrace opportunities at our Fellowship of Christian Ministers Luncheon held a few times each year. We recognize the achievements and service of FCU alumni. Honored graduates are the ones who exemplify faithfulness to Christ, perseverance in service, and contribution to advance the work(s) of God. They are nominated by their peers and the Alumni Board of Directors considers and approves the awards. All FCU alumni are encouraged to nominate individuals whom they would consider deserving of such recognition. Audit one class free per year. (AA or above to be eligible). To join the FCU Alumni Association an annual fee of only $25.00 will be required. This is a token fee to simply show commitment to the vision and the support of FCU. These funds will be used to sponsor events for the association. Enroll now and you won’t need to renew your membership until January 2020. Copyright© 2018 Faith Christian University | All Rights Reserved.